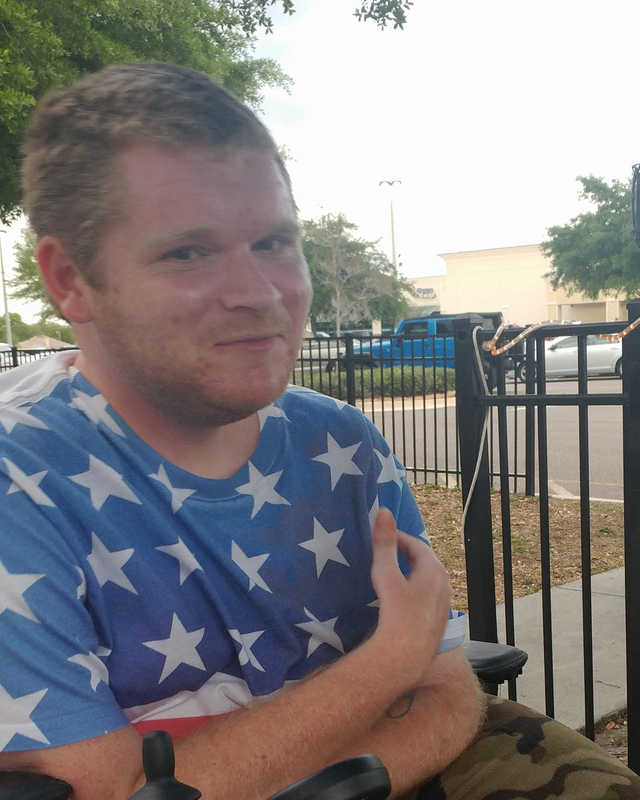 Dylan Robert Barnett passed peacefully in his sleep on Saturday, March 10, 2018 at 11:00 PM at Haven Hospice Custead Care Center in Orange Park, FL due to complications associated with Muscular Dystrophy. Dylan was born in Jacksonville, FL on November 28, 1991 to Pamela (Butts) Barnett and Daniel Barnett (deceased). He is survived by his mother, Pamela, his sisters, Brittany and Courtney, his brother, Dustin, and numerous loving cousins, aunts, uncles, and friends who will miss him dearly. Dylan bravely fought Duchenne Muscular Dystrophy throughout his life, but never let the condition define him as a person. He was known for, and will be remembered as, being a funny, loving young man who welcomed anyone, without hesitation, into his life. As a young boy, Dylan was very active and enjoyed soccer, skateboarding, riding dirt bikes, ATVs, bicycles, rollerblades, and many other outdoor activities. His cleverness and humor were only matched by his mischievousness. Though the disease would eventually begin to restrain and weaken his muscles, Dylan did not let it restrain his life. He spent every moment he could hunting and fishing with his friends and father, and travelling the country camping with his family. While living in Kennesaw, GA, he was given a golf cart by the Make-A-Wish foundation that quickly became the center of attention in the neighborhood. He would drive around visiting with everyone he could until the batteries died. Even at his most difficult times, Dylan was never one to protest his lot in life. Indeed, he was more apt to complain about not having enough zesty Italian for his chicken. His resolve and determination were an inspiration to all who witnessed it. For so many, Dylan was a shoulder to cry on and a constant source of wisdom and strength. He was a beloved and well-known member of his community who could brighten the darkest days and ease the sharpest pains. Above all, he was a fighter, and a fiercely independent soul who lived his life with more love, humor, and generosity than most will ever have the opportunity to experience. Services will be held at Russell Haven of Rest in Green Cove Springs, FL on Saturday April 7 2018 beginning at 3pm. A reception with the family will be held after the service. The service and reception will be open to all who knew and loved Dylan and his family. In lieu of flowers, please provide donations to Dylan’s memorial fund.